I did it, passed the TSHOOT exam, which means I’m now CCNP Certified. Woop!!! What are the commands to recitify the issue. The topology of the lab is available online for review and for you to create on your home lab or partially in packet tracer here. You can also try out a demo of how the simulator works here. I recomment that if your sitting the TSHOOT exam, you check them out and build a lab around it. So personally I found the exam pretty easy, the ticket questions I did in order, so they started off with issues at the client level and moved further and further up the network topology as to why you cannot ping the web server. The issues are easy to spot when looking and comparing configurations between routers, and so long as you answer the ticket questions in the right order, you should come to an easy conclusion to lead you to the fix in the third question for each question. Note: When tackling your tickets, write down the ticket number, and answers, then abort the ticket, as when you click done, you can't go back and edit it. By aborting, you can check out all the faults first and then answer them all at the end. I’m pretty sure I would have scored 100% on the exam, however on one of my tickets, I found the fault, however selecting the device where the fault lies and then answers available for the command line fix did not match up. I play around with the answer selection on the ticket and found that by clicking a different device at fault, then the correct technology, the correct command line fix was available for selection. I did write this in my exam comments, and I will contact Cisco further about this. Will they do anything? Probably not as the 642 series of exams are finished on 29th Janurary. So, I have to recertify my CCNP and lower exams on 24th December 2017, yay. I’ll probably do it earlier, and not cram everything in last minute. Famous last words. To recert the CCNP, you only have to pass one of the three exams. Which is good for me, but I’m not sure its the right strategy by Cisco. Maybe asking you to do all three is taking it too far, however 2 out of the three is not to much of a stretch. I’ve enjoyed taking the exams and learning the course materials. 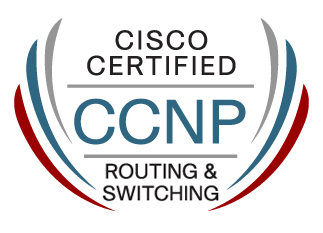 And proud to be CCNP Certified. CCIE next up? I hope so, but not for a year or to.